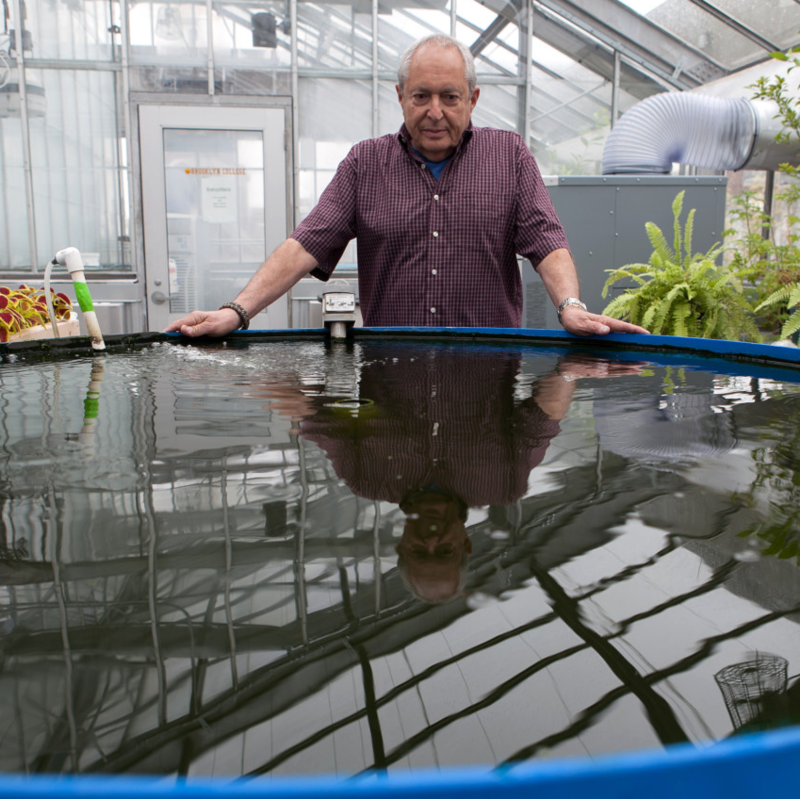 Distinguished Professor Emeritus of Biology at the City University of New York’s Brooklyn College, Dr. Schreibman helped perfect a model for sustainable urban farming using cutting edge technology, recirculating aquaculture systems (RAS), to grow fish. Professor Schreibman is the founder and Director Emeritus of Brooklyn College’s Aquatic Research and Environmental Assessment Center (AREAC), a research facility devoted to the study of aquatic organisms — how they grow, adapt, reproduce, and live in all temperatures and environments. He and a multidisciplinary team of researchers seek to answer questions about medicine, nutrition, pollution, aquaculture, fisheries, and marine ecology. AREAC’s projects include bivalve and fish aquaculture, breeding horseshoe crabs, educational outreach, and product commercialization. Dr. Schreibman has devoted the past eight years to developing urban aquaponics — growing both fish and plants together in a symbiotic water re-use system. Over the past 15 plus years, his recirculating farming techniques have been used for assorted projects — even in outer space. In 1998, on the space shuttle Endeavor, he worked with Dr. Volker Bluem of Germany to develop a small system to test whether growing fresh food in space could be an option for lengthy trips. Dr. Schreibman is a Board Member for the Coalition.